This week in Finance: Will OPEC do something about declining oil prices? US markets certainly appear to be in a great mood. Last week ended with global growth hopes driving the S&P 500 Index to a fifth week of gains. This and the Dow Jones Industrial Average both got a boost late in the week from a bounce in oil prices and energy shares. The technology-heavy Nasdaq was the weak team member bringing up the rear. Adding to the rally in US markets appeared to be hopes for better growth in three different parts of the world: Japan, Europe and China. The news that Japan has fallen back into recession initially sent Japanese stocks spiraling downwards but then investors eventually appeared to welcome the promise of further stimulus. And the fact, that Abe would push back an increase in the consumption tax planned for next year. European Central Bank President Mario Draghi appeared to move U.S. markets at two points during the week by promising aggressive action to boost inflationary expectations in the eurozone. And then there was China’s surprise move to cut interest rates—the first such cut in two years. T. Rowe Price’s Hong Kong-based analysts expect the Chinese economy to slow in 2015 as it tries to stimulate domestic growth, but they believe that policymakers will successfully avoid the “hard landing” of an abrupt slowdown. The Hong Kong-Shanghai stock exchange started with a major buzz and a slew of northbound investment activity hitting the limits on Day #1 but this fizzled out by the end of the week. Oil prices are now at a four-year low, a situation triggered in the last four months by an unprecedented increase in oil production in the US. This has been exacerbated by weaker demand growth across the world, especially in Asia and Europe. Prices have fallen by more than 30 percent. 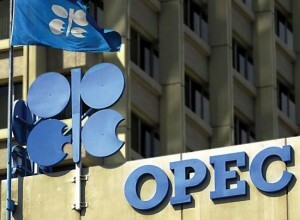 Perhaps the biggest question for this coming week then is what OPEC will do about oil prices? Leave the situation as it is, or stick to a 30 million barrel per day ceiling, or cut oil production? Let’s see once oil ministers from the 12-member Organization of Petroleum Exporting Countries meet in Vienna on Thursday. A host of economic-growth figures will be released in the US, Germany, the U.K., Brazil, Canada, South Africa and many eastern European countries. And of course the U.S. holiday shopping season begins with Black Friday, the day after Thanksgiving, which is traditionally one of the biggest shopping days of the year. Glad you enjoyed it. Do let me know if ever there is anything specific you’d like to read about. Hello, after reading this awesome article i am as well glad to share my know-how here with colleagues.